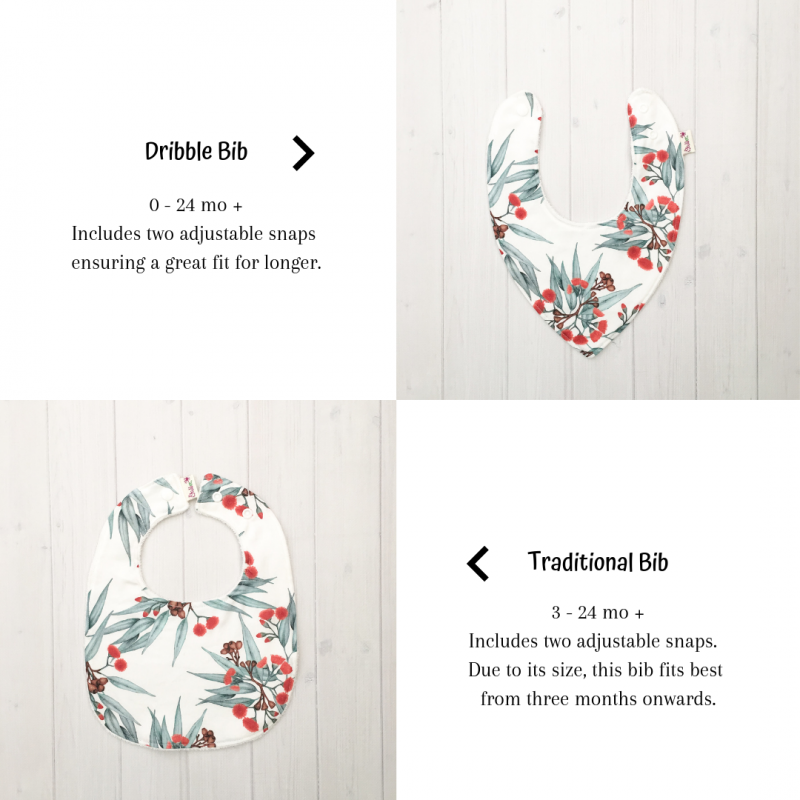 Our Blue Wren Bib is the perfect accessory for your little one. Modern, gorgeous and practical. These bibs use beautifully illustrated fabric designed by a talented Australian artist – Lauren Kelly – Thistle and Fox. The fabric is printed right here in Melbourne and then sewn by me in my home studio.